The weather has been warming up in Southwest Florida and the snakes are out and about. I saw a couple black racers but found a nice corn snake on the road warming up about half a mile from my house. I caught it and took it home so I could check it out with a magnifying glass to see if there were any mites on it. There were no mites at all and it was a healthy looking sub-adult, kind of a normal color but darker than the usual normals I see. I turned it loose after checking it out. It was nice seeing such a beauty in the wild. Yeah, Connie and I saw a gray rat snake crossing the road a couple of days ago. She was driving and we were on the way back home from running errands. It was on the dirt road that runs through our property, heading towards the house (and our bird feeders). So she stopped the Jeep and I jumped out to turn him around. I just stuck my foot in front of my face thinking he would turn around and bolt, but no, he just lifted up his head and laid it on my foot. I thought he was going to crawl up my leg. Well he did eventually turn around and head the other way, but he wasn't in any hurry about it. I don't know for sure, but the lizards in my yard seem to get used to my presence and don't bolt away like they did at one time. The black spiny-tailed iguanas especially now let me approach within a few feet of them. At first they bolted away if you came within 20 feet of them. Those iguanas look quite prehistoric when they get large. The anoles used to scatter quickly but now I can just about grab them. 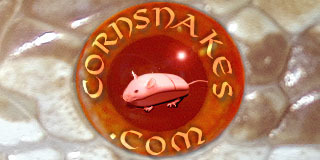 I had to laugh when I tried to pick up the wild corn snake. It was about 72 degrees outside and when I attempted to pick it up it struck at my hand 3 times. But after I got it in my hands it found out my hands were very warm. It coiled around my hand and wrist and was quite content to stay there. When I tried to release it back into the wild it wouldn't go and kept trying to get back into my hands.